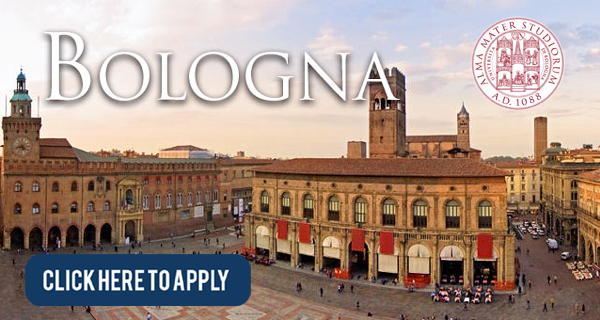 The University of Bologna offers up to 48 study grants of 11.059 € gross to deserving international students who wish to register for Single, and Second Cycle Degree Programmes at the University of Bologna for A.Y.2018/2019. they are not students at the University of Bologna of First, Single or Second Cycle degree programmes. they have not already benefited from the study grant Unibo Action 2 or from the Unibo Action 1 waiver. SAT and GRE test are aptitude and skills assessment tests. The tests can be sat in authorised centres in various countries around the world; they are held in English. You must enrol for the tests on the websites of the organisations managing the tests. Applications must be submitted by 30 March 2018 (Second Cycle Programmes) or 30 April 2018 (First or Single Cycle Programmes), exclusively by Studenti Online. It is important to go through the 2018/19 Call for Applications (GRE) or 2018/19 Call for Applications (SAT) and visit the official website (link found below) for detailed information on how to apply for this scholarship.